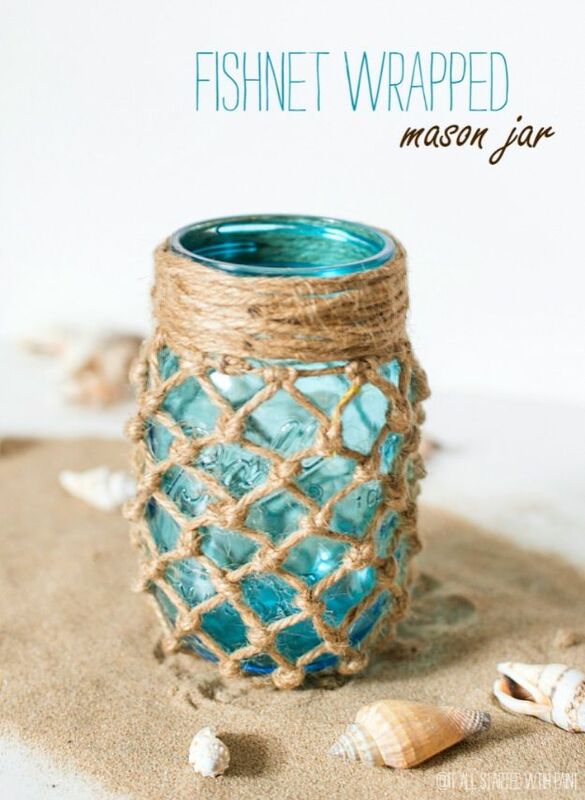 So, I decided to go on a mission to find 50 of the best mason jar craft ideas that are cool enough for teens to make and use for gifts or room decor. I only found 42 I loved, though, ones I had not already seen all over the place, anyway. All mason jar crafts are not created equally. 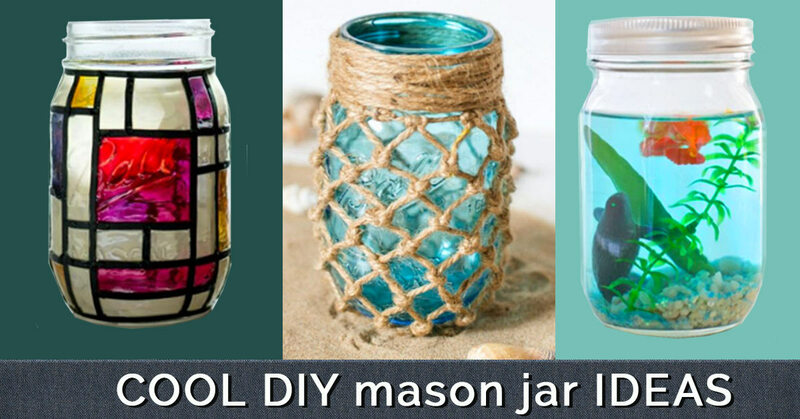 See what you think of these fun DIY mason jar ideas. Mason Jar Crafts Love has some really cute crafts ideas these days. Call me impressed. 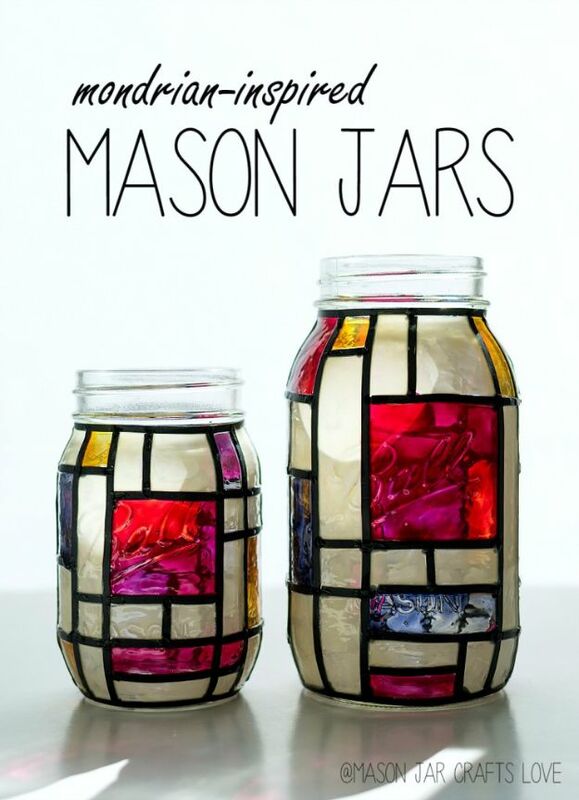 Their mason jar projects just get cuter and more creative. Mondrian jars like this are not hard to make. Decorate your room with a shelf of several of these fun artist inspired DIYs. Fun and easy idea for teens, kids and adults, this DIY will look great in just about any room in the house and makes a super creative, crafty DIY gift idea. Ever heard of dream jars? This clever craft is pretty but also serves a neat function – you write down your dreams and store them in the jar. Learn how to make this cool DIY project for your room. Easy and quick but beautiful, this jar makes a nice gift idea for girlfreinds, too! This belongs in your bedroom now. Follow the step by step tutorial to learn how easy this one is to make! Better than a Starbucks tumbler, this fun golden mason jar coffee cup is one of a kind. Personalize it with your favorite words or of course, “I’m so fancy.” I think this is a super Mother’s Day gift idea or fun craft for friends. Perfect Christmas gift idea, this one is great for birthdays and last minute gifts, too. 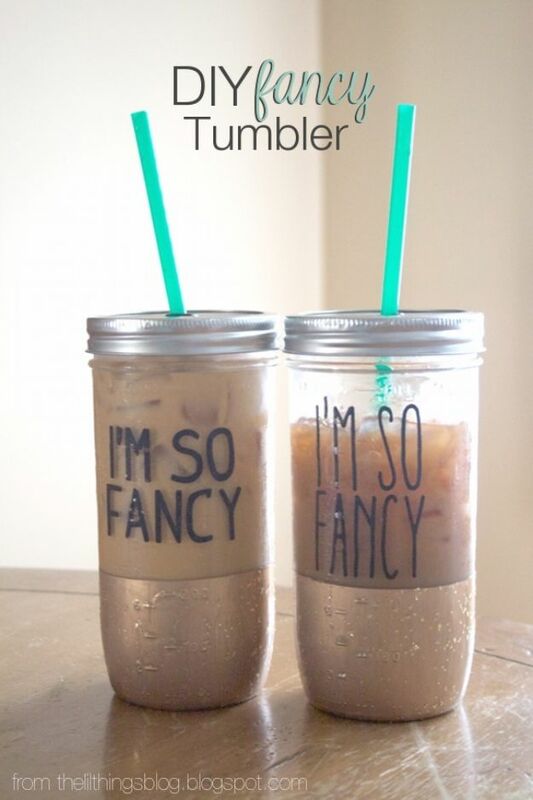 Everyone needs this cool DIY mason jar tumbler. Follow the step by step tutorial to learn how. Looking for some romantic DIY room decor. 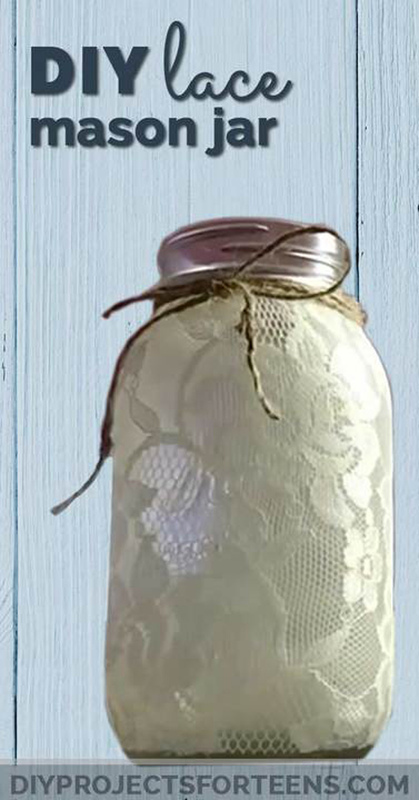 This fun and easy DIY idea uses Mod Podge and lace fabric to make a pretty mason jar luminary. I just painted my computer room (closet, rather) a light shade of aqua and have been thinking blue mason jars would be pretty on the desk. I found this craft idea last week and just love it. I don;t think it has to necessarily be a beachy look, either. It would make cute beach house decor, but I think this creative mason jar craft is cute for a teen girls bedroom. The tutorial is super, too, and shows you exactly how to tie the knots for this neat look. Place a candle inside , use it as a pencil cup or storage for small craft items.